Interview with Valeria: My Message is Stronger than Before! 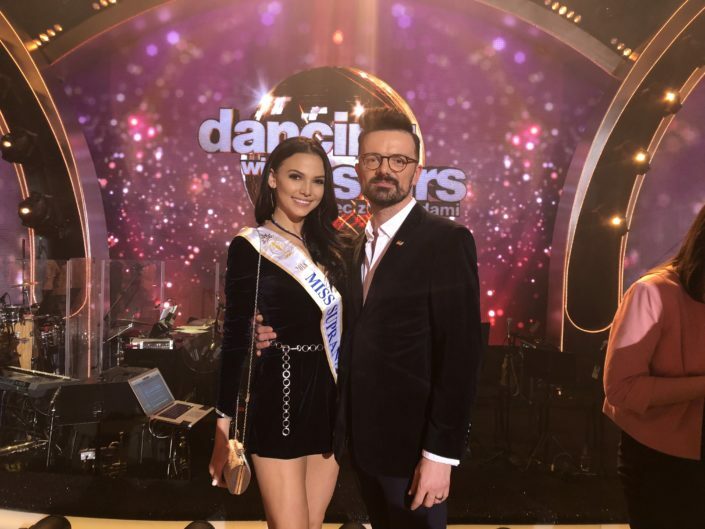 One third into her reign, we took a moment to catch up with our reigning queen, Valeria Vazquez, as we were traveling from Poland to France for the MIPTV and Cannes Series events. Valeria completed her first tour to Asia (Thailand, Vietnam and Indonesia) in March and this time she will be visiting Europe (Poland, France, Netherlands, Belgium, Slovakia) for another month away from home. Andre: With one third of your reign completed, what has been the most memorable part so far? Valeria Vazquez: It’s impossible to pinpoint just one. Life is more like many intertwined events, moments and lessons. If I have to tell you what has been staying in my mind so far it would be all the amazing people from so many different cultures that I have met so far during this journey. It has been the most rewarding part of my trips to places I never even thought I would or could visit. Andre: You recently spent almost one month in Asia visiting Thailand, Indonesia and Vietnam. When people ask you about your first impressions of these countries (for example, back home), what would you tell them? Valeria Vazquez: Beside from all the people in the three countries being so warm and welcoming, I would tell them how much it felt like home. I think it’s because we share similar climates, so the heat and the humidity felt familiar to me. Actually, I was not expecting to feel right at home in Asia, so thanks to the amazing climate and amazing people, it was easy being away from Puerto Rico (of course I missed my family, friends and dog, though) for almost a month. What do you think is the most valuable lesson you have learned so far and how has this helped you to grow as a person? Valeria Vazquez: Like I said before, I don’t think I have learned one specific lesson, like I could not pinpoint one specific day or moment that has been my best. What I can tell you 100% for sure, is that this title has definitely helped me to grow as a person because of all the traveling so far. Getting to meet so many different people from different cultures with different customs, languages and different social norms that are totally different from my own has given me so much knowledge and a better understanding of life. I think that’s how I have grown and looking back at myself three or months ago, I do feel like a different person. That’s a wonderful benefit of having the opportunity to meet different places and people. Being Miss Supranational is not just about glamorous events – you want to share your message to women of being confident in their natural beauty and making decisions that will benefit their lives in a positive way. How has meeting women from different cultures in a different part of the world affected your message? Has your view of the world changed at all? Valeria Vazquez: I don’t think my message has been affected in a negative way. If anything, it has gained strength and power. For example, learning more about the history of the Puteri Indonesia Organization was eye-opening and inspiring. It took some strong women to make decisions about changing the perception these contests had in Indonesia. They were confident in their decisions and they did not give up despite challenges and criticism. However, their efforts have not gone unnoticed and people have seen the way they followed their dreams in a respectful way and empowered other women along the way to realize their own. It really is an empowering message for me as a young woman (and others) with hopes, dreams and ambitions. Also, I have traveled to new places and saw new kinds of beauty and that makes me even more confident in my message. Appreciating their beauty and then having the honor of learning about them have given me a stronger belief in the message I shared on the Miss Supranational stage last year. Holding a title like Miss Supranational comes with great rewards and great sacrifices. What has been the greatest reward and greatest sacrifice so far? Valeria Vazquez: The greatest reward has been the personal growth – getting to places I never thought I’d go to and meeting people I never believed I could meet. Every person and experience gave me knowledge and I have been inspired every person I have met. As for sacrifices, I would not say there are many as this is a great honor and once-in-a-lifetime experience. Perhaps it’s the hours of traveling and being away from my loved ones for long periods of time. But the rewards far outweigh any “sacrifices” that a title like this one brings.